Planning a party or get together? I'm back with another healthy appetizer! 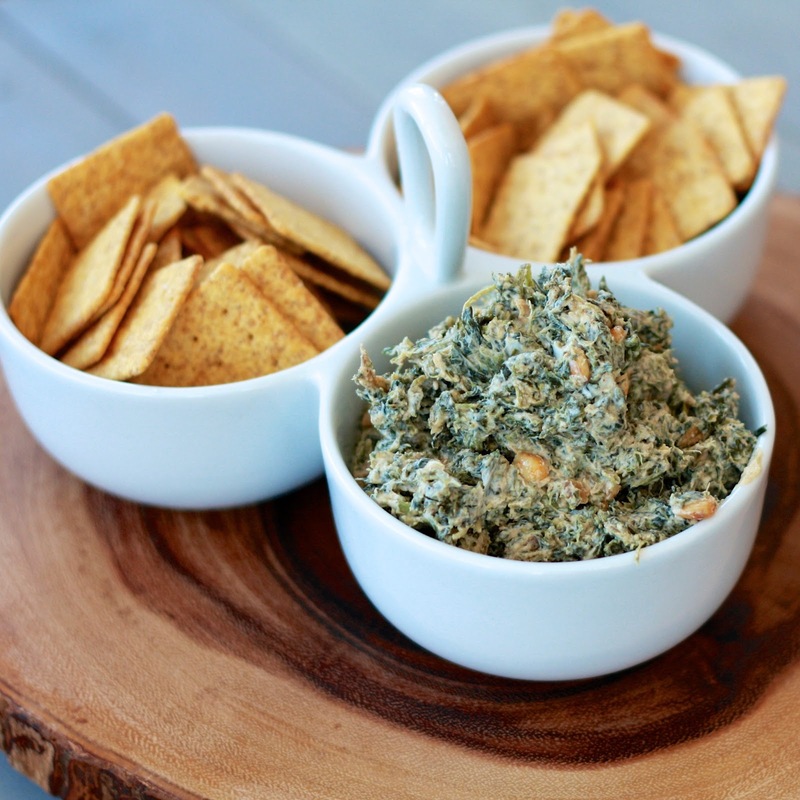 The roasted red pepper dip was a hit, so I was eager to try this spin on a lighter spinach dip. 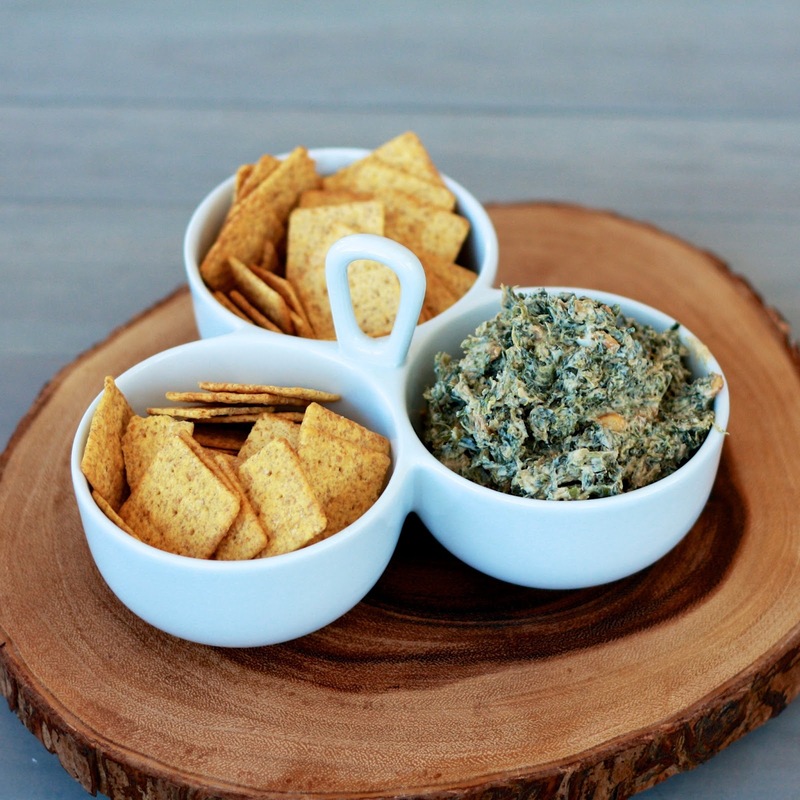 Using Greek yogurt instead of mayonnaise, this dip is great to use as a sandwich spread, on crackers, or with vegetables. We did all three! The spices as well as the pine nuts kicked it up a notch, so much so that you don’t even miss the fatty flavor. Of course, there is a time and a place for a gooey cheesy (bacon-y!) 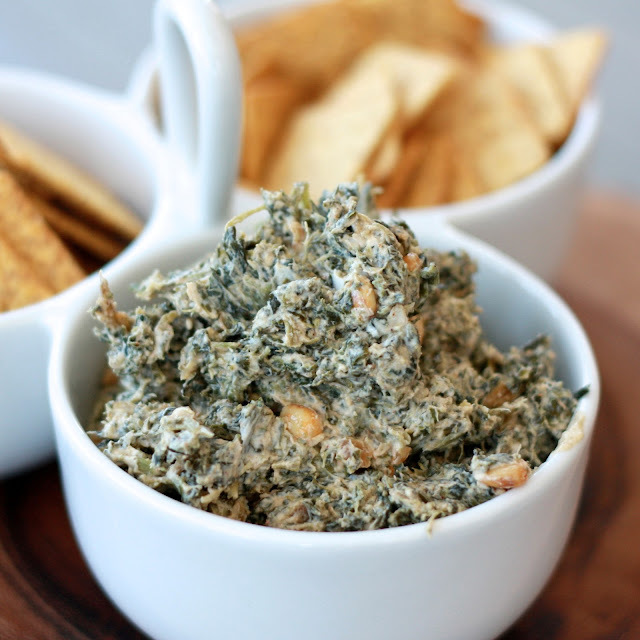 spinachdip, but this is a great alternative when you’re looking to keep things on the healthier side. 1. Heat olive oil in a small skillet. Add the pine nuts and onion and cook over high heat, stirring frequently, until the onion is lightly browned and soft and the pine nuts are golden (4-5 minutes). 2. Add the cumin, coriander, chile powder, and cayenne. Cook, stirring, for 1 minute. Scrape into a bowl and set aside. 3. Using your hands, squeeze the spinach until very dry. Coarsely chop it and discard any stringy pieces. Add the spinach and the yogurt to the onion mixture, stirring to combine. Season with salt. Cover and refrigerate until serving.